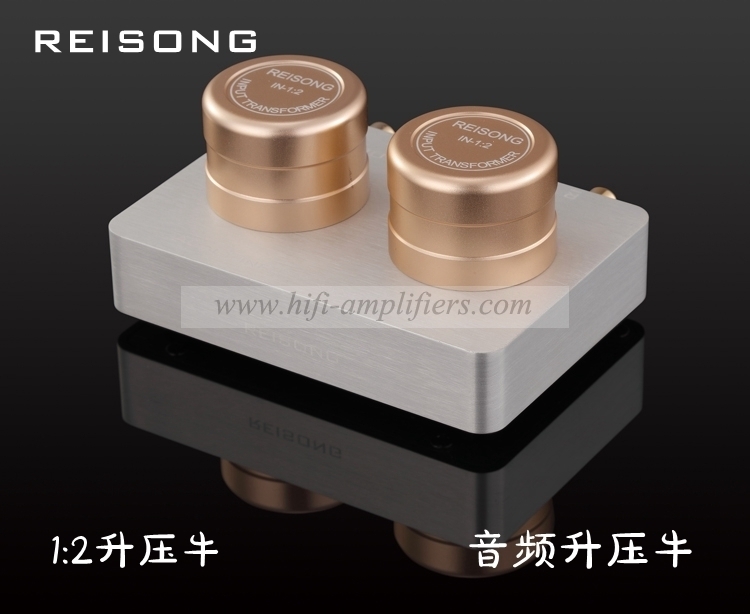 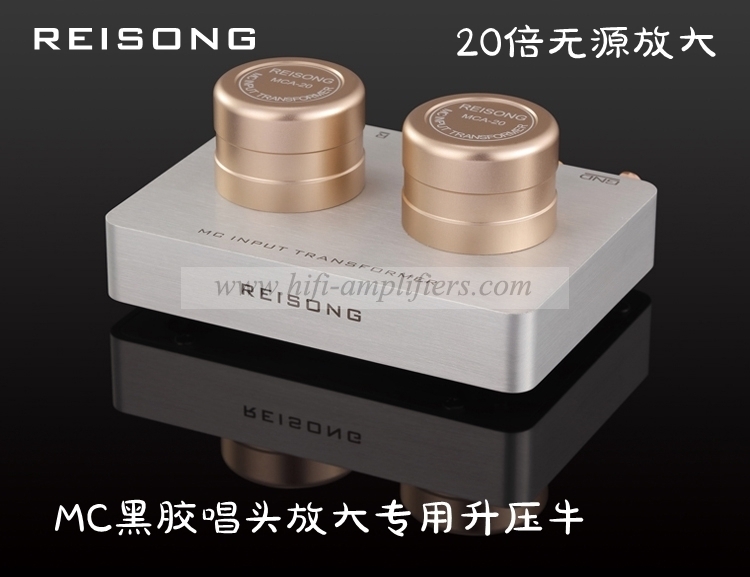 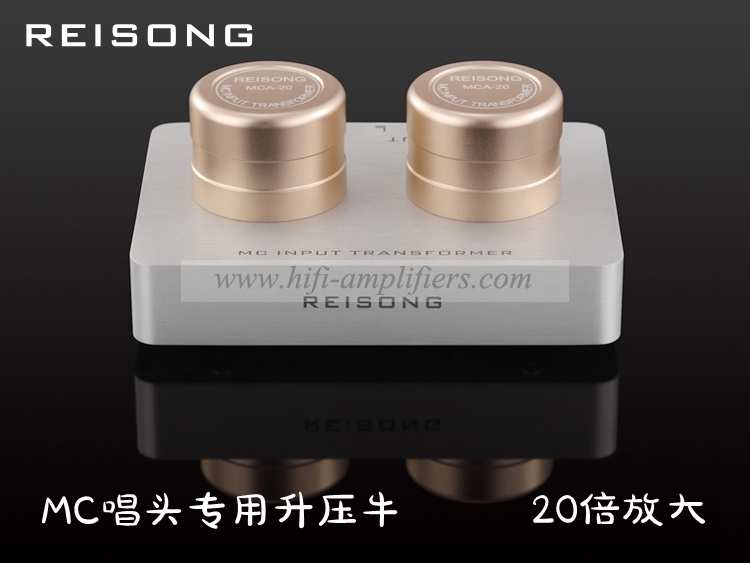 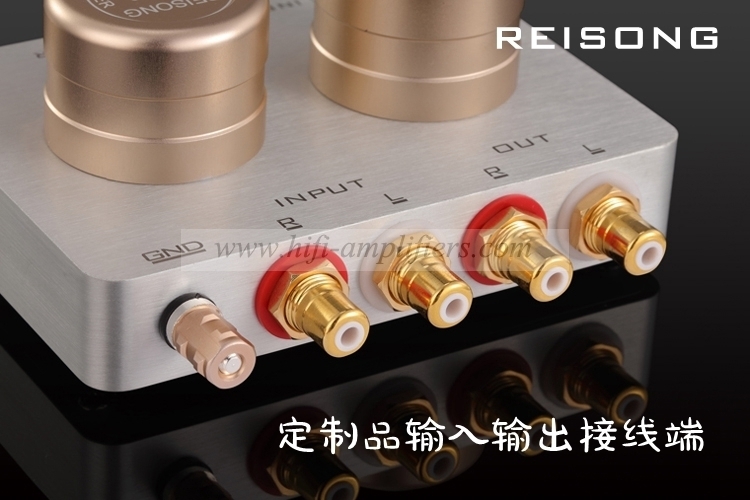 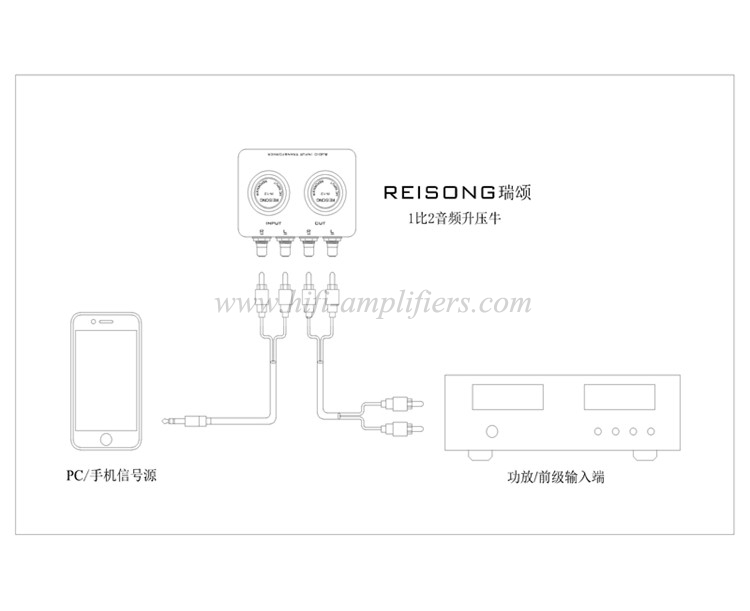 REISONG 1:2 step-up transformer is a passive step-up transformer developed to compensate for the low output of audio signals from computers, mobile phones and MP3 players in the existing market. 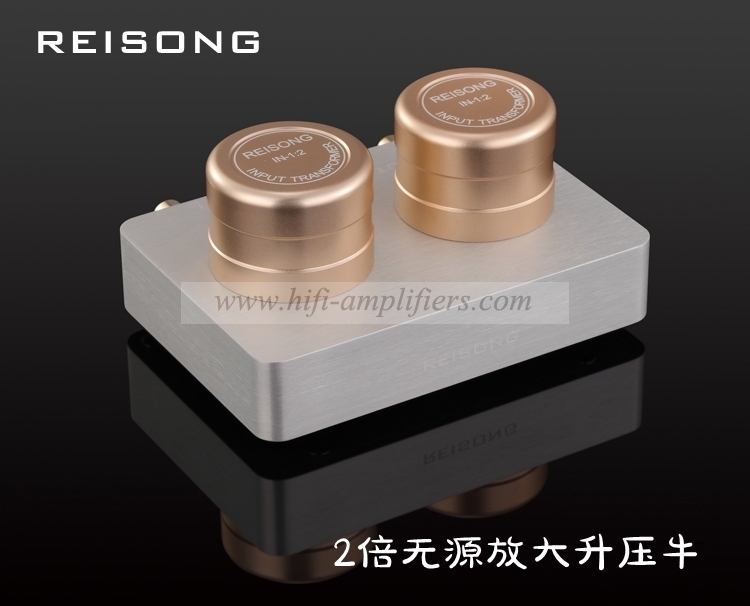 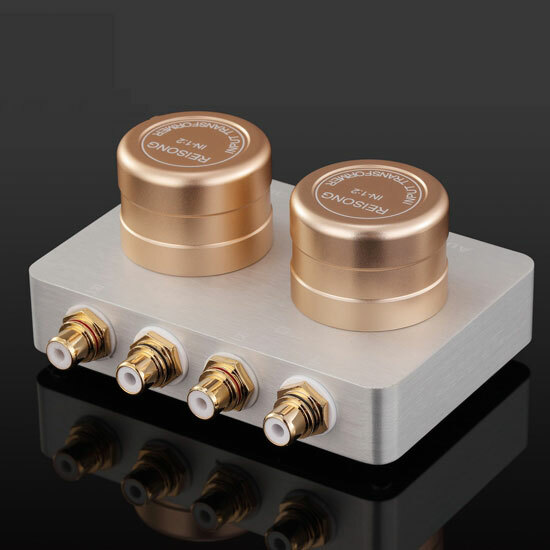 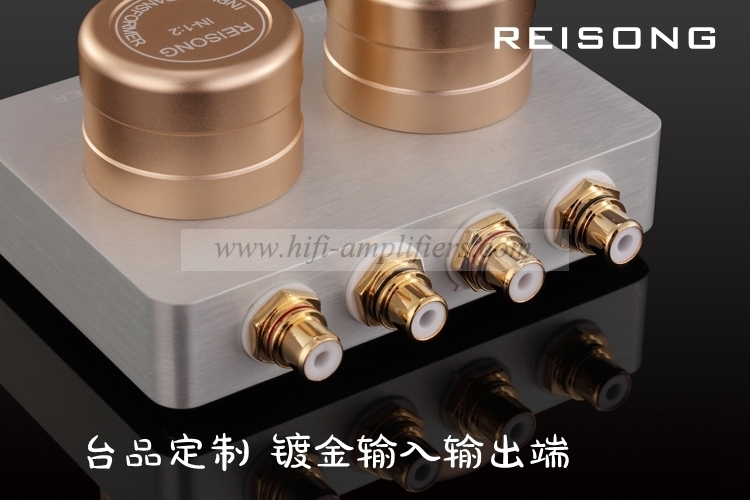 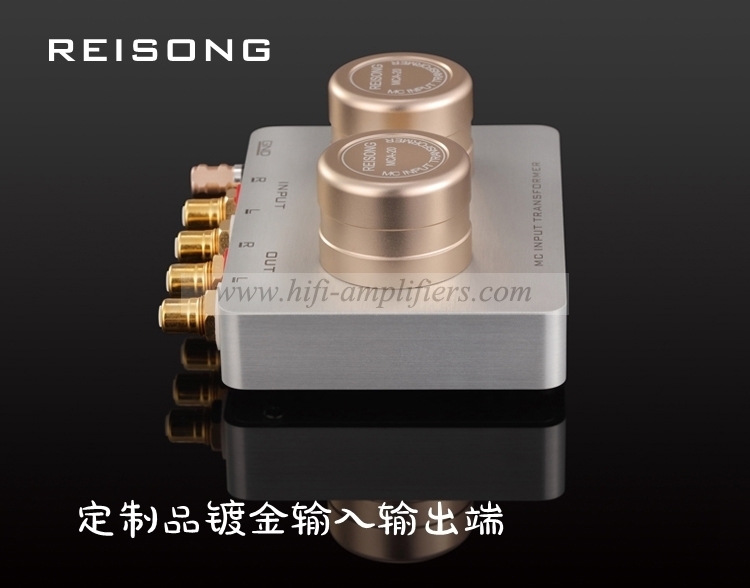 When using a computer, mobile phone and MP3 PLAYER to listen to music with hifi amplifier, generally find the sound is small, less details, dynamic and thin. 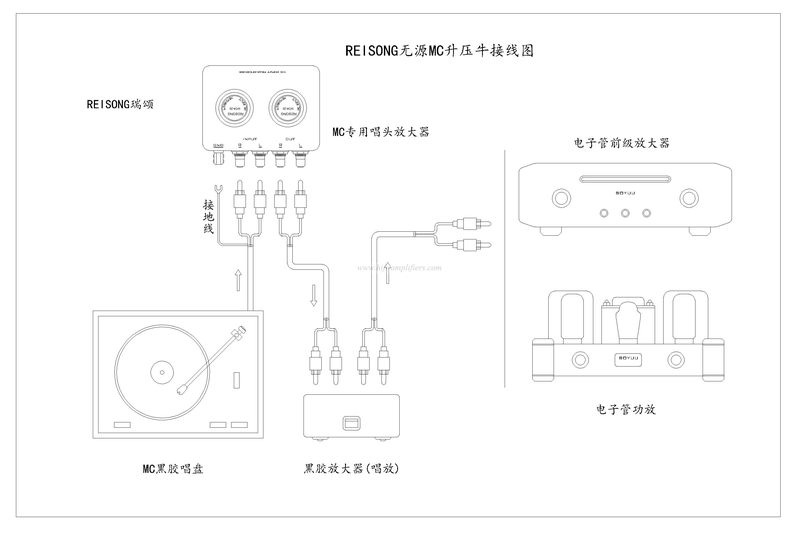 Without a CD player, the decoder sounds full, because mobile phones and computers are designed to have an output value of 0.2-0.5V audio voltage, while existing amplifiers are generally designed to have an input voltage of 0.75-1.2V. 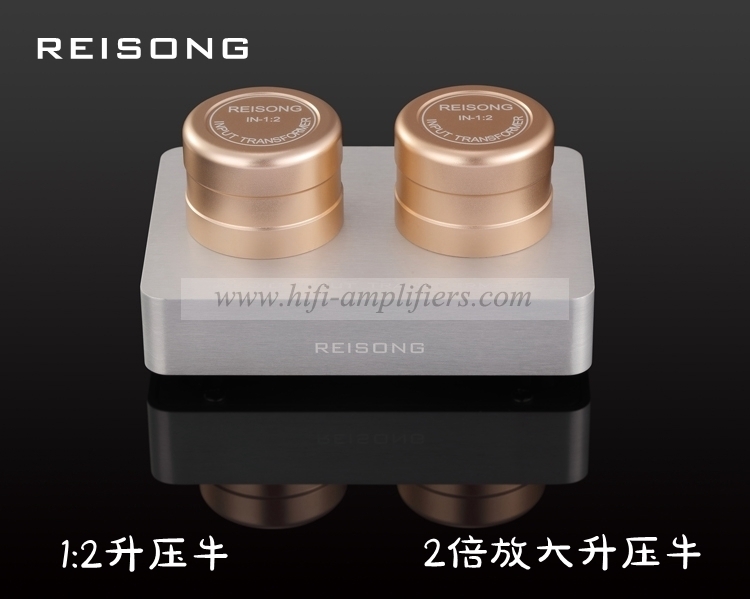 This intermediate voltage difference requires a 2x boost value, and a REISONG 1:2 step-up transformer compensates for this vacancy. 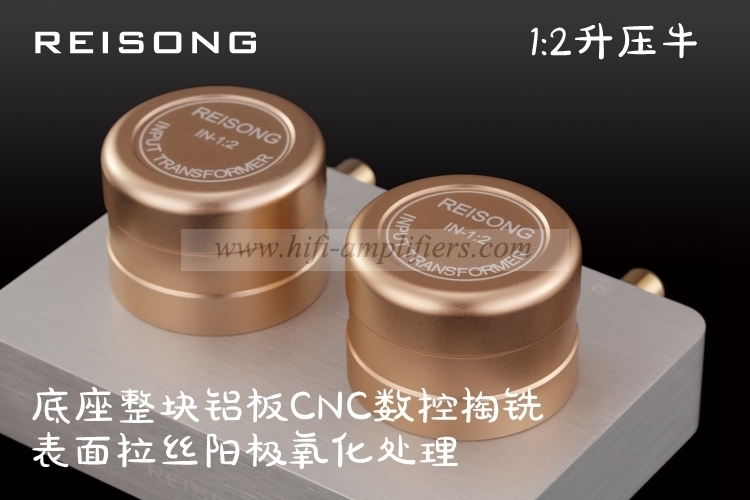 The shell is hollowed out with a block of aluminum, surface oxidation oxidation, laser engraving. 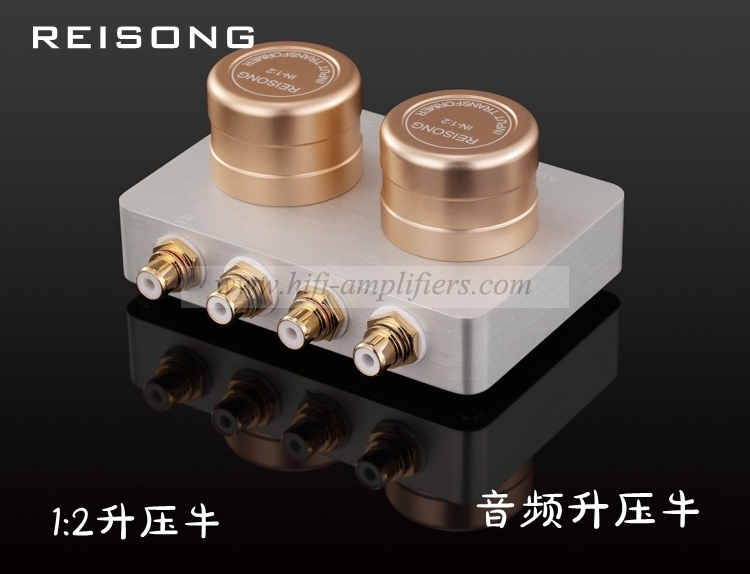 The transformer core adopts imported iron core and imported enameled wire.